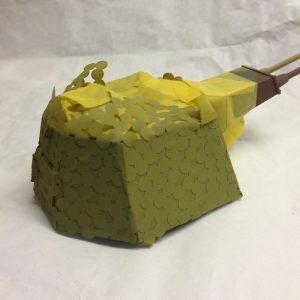 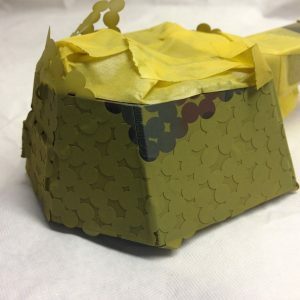 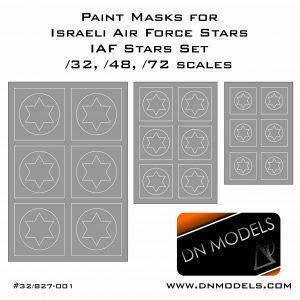 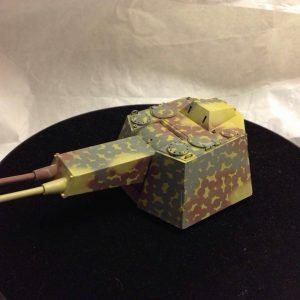 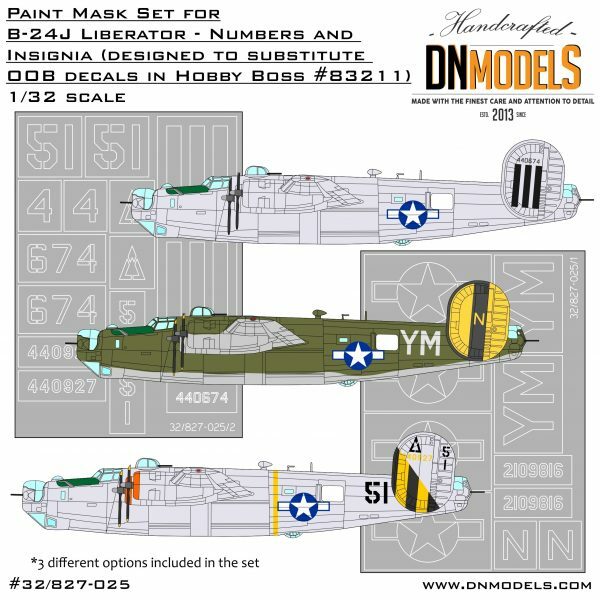 paint mask set is designed to be used instead of the decals included in the Hobby Boss #83211 kit. 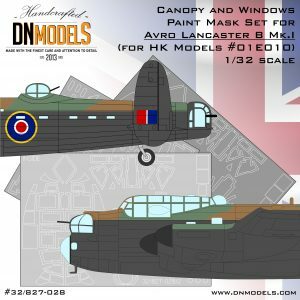 Since decals have carrier film and cannot be weathered with enough realism, this set provides an alternative approach to solving that problem. 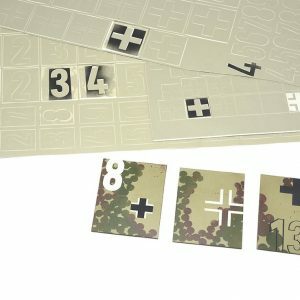 Application of paint instead of decals present you with the option to chip the paint and alter the colors of the insignia and numbers, as well as to avoid decals carrier film seen on the decal. 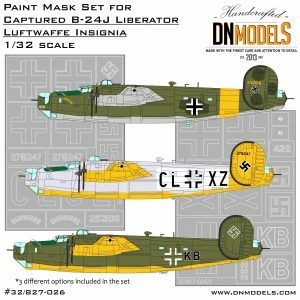 Due to the enormous size of the B-24 Liberator in 32nd scale, this is the best method for markings application. 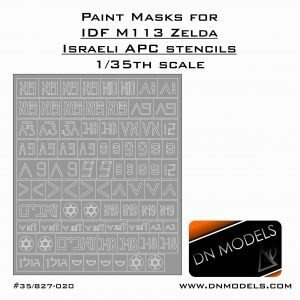 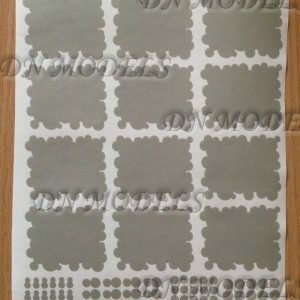 Not all of the decals can be substituted with masks and this is due to various reasons. 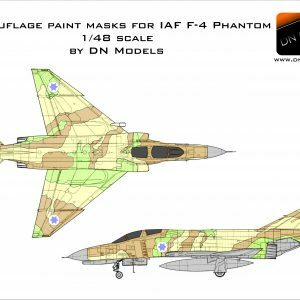 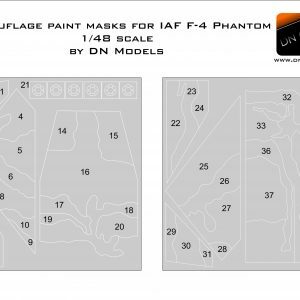 However, major and important elements of the Insignia, lettering and numbering of the aircraft can be applied with painting. 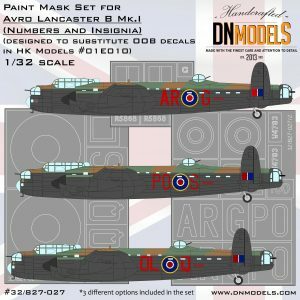 This set covers the versions included in #83211 and are designed specifically for that kit in 32nd scale. 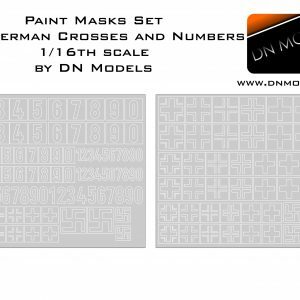 All of the items included in the set are visible on the cover. 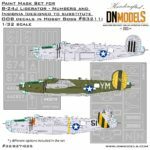 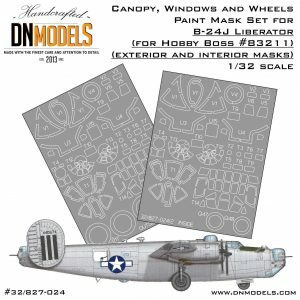 Besides specific nose-art, the set complete all the major components presented in the decal sheet of Hobby Boss’s B-24J Liberator kit.